For my friends in the Southern Hemisphere, summer is coming to a close and you are about to enter into the autumn months. Below is a short glimpse at the Medicine card deck and various totem animals representing the change of seasons in your part of the world! The Antelope: The Antelope card is one of the key power cards for spring and autumn. The Antelope is an animal of action, yet it is quiet and graceful at the same time. If you were ever to visit the U.S. plains states, you’d see these beautiful animals near Yellowstone National Park and other areas of the northern plains where they graze openly. They are graceful and at the same time, lightening fast. The Antelope is a card of duality; it is the card that makes us think about making changes and yet taking a deep breath and enjoying a moment of stillness before we take action. After the hectic summer months, this card also reminds us to slow down and reflect on the events of the summer and look forward to where we want to go as the seasons change. This is also a card that is very strong in intuitive and empathic energies as well as emotional reflection and sensitivity. 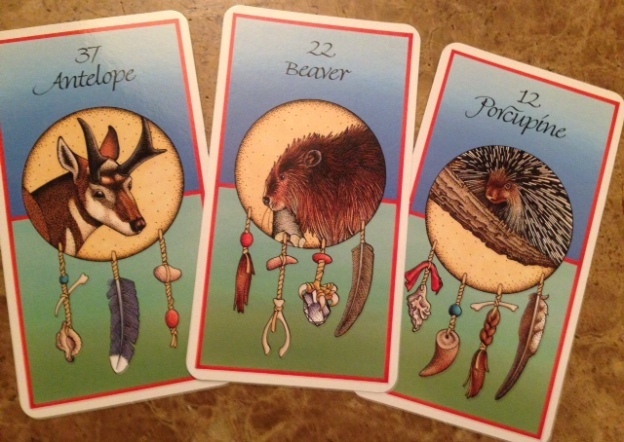 The Beaver: The Beaver is another great autumn card and is the card of goals and labor. After all, the Beaver is one of the hardest working little creatures in the animal kingdom! Beavers are also “nesters”- they work hard to build dwellings for their families/communities and are focused on their homes. As summer is coming to an end, the Beaver card is here to remind us that it’s time to get back to work, make plans, and move forward. 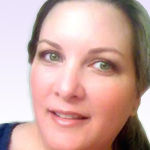 It’s also time to start thinking about your visions for life and start acting on them– and to focus on matters involving home life and family. The Porcupine: The Porcupine card is another significant card for the autumn months. If you think about the Porcupine as an animal, she is prickly, but only becomes defensive if she feels threatened. This is a card that reminds us to re-examine issues of trust in our lives and to also analyze whether we are being overly sensitive or critical of ourselves and others. The Porcupine is also a somewhat comical little creature, who seems to take on life at her own pace. As the hectic summer months come to a close, this is a reminder to find humor, slow down and simplify things in your life as well. Animals are and were an extremely integral part of culture of the Plains Indian tribes of North America. Elders from these tribes still teach young people about the important roles these creatures play in their culture. Native Americans feel very interconnected to all the animals they’ve relied upon for sustenance because they believe their Creator has provided these things to them for a purpose, both practical and spiritual. The Antelope and Beaver both hold very special positions of importance in this context. The Antelope, as mentioned above, is native to the Western Plains and provided clothing and food for the native peoples living in those areas. Beavers were thought to have their own language and culture. They were also believed to be able to think like people and to communicate with human beings telepathically. North American Indigenous peoples’ culture is filled with many fascinating tales about animals and their spiritual powers.